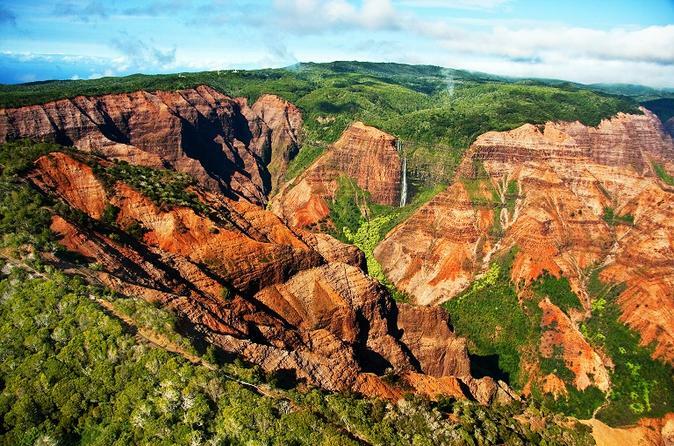 Island hop from Oahu take a visit to some of Kauai’s most beautiful spots and discover why this island is Kauai is called “The Garden Isle.” On this full-day tour, the lush vegetation and verdant tropical rainforest covering all altitudes will surround you. From the towering Eucalyptus trees projecting from the 3,500-foot cliffs, to the deep valleys with winding rivers and fern-covered grottos. Many dramatic ocean views will also delight you as you explore almost the entire island!